Now this is a product that really does what it says on the tin, or jar in this case! It really is super hydrating. I just can't explain how much of a Godsend this moisturiser has been for me during the colder months. My skin gets so dry and dehydrated when the weather turns colder, and I have to keep upping my skincare game to beat it! 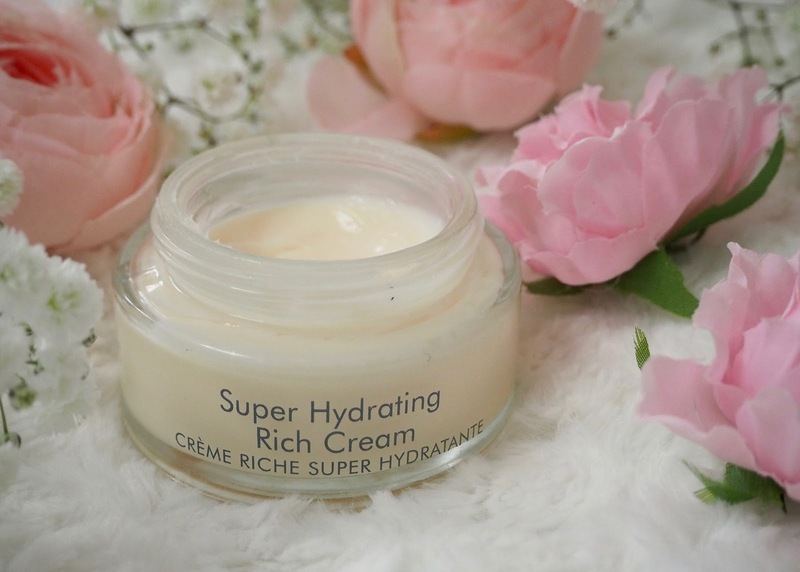 This cream has really worked wonders - it seems quite rich and thick in the jar, but on the skin it manages not to feel heavy whilst delivering a massive moisture injection. My skin drinks this up like nobody's business, and it immediately feels plumped and hydrated. When I started using this my skin immediately felt and looked so much better in terms of dryness - my makeup sat better straight away, and stayed put too. The ingredients in this one include allantoin to regenerate tissue, shea butter and argan oil for moisture and cell renewal and aloe vera to improve skin elasticity and to fight ageing. It's designed to prevent the skin from chapping and cracking and protects it against environmental damage and windburn whilst continuously moisturising the skin to return it to its ideal moisture level. Since my skin has been dry almost all over, this is the best moisturiser I've tried as it really replaces all of the lost moisture without ever making my skin look or feel greasy or oily - even on my t-zone (I have combination skin, but in the winter it's mostly dry). Prior to this I was using the Kiehl's Ultra Facial Cream as that's also a great moisturiser for dehydrated, combination skin, but I was finding it didn't deliver enough moisture for me any more when my skin's at its driest in winter. 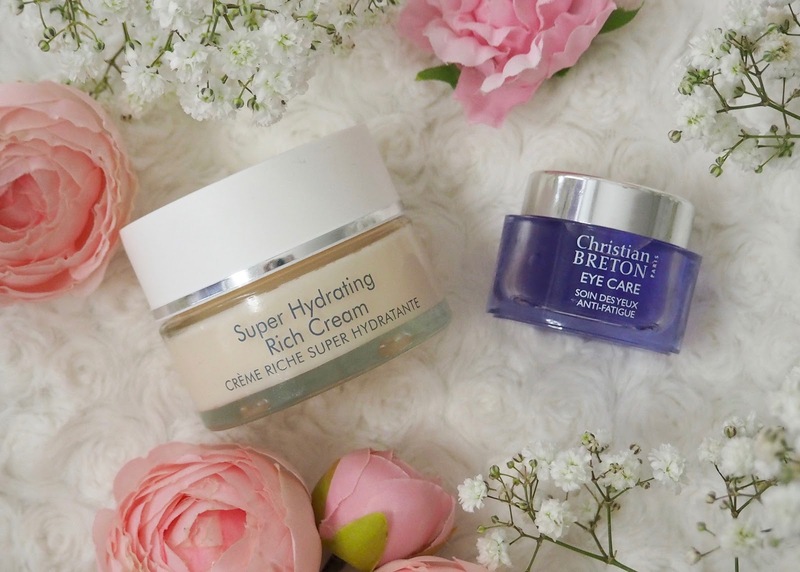 I'm so happy with the Super Hydrating Cream, the only slight drawback is that it's a little more expensive than I realised (as this was gifted to me to review). It's €71 on the Christian Breton site, or £56.80 on allbeauty.com, but in my opinion it's completely worth it for the results I've seen on my skin and I'll definitely be getting myself a back up. For reference the jar is 50ml and after using it for two months I've just about reached the bottom, using it every morning. The driest area of my face is my under eyes. Like my other areas of dryness, it all gets worse during the colder weather, and this year my under eye area has been so difficult to manage. Shortly after Christmas I was feeling really down about how my under eyes looked - first world problems I know, but they looked awful! 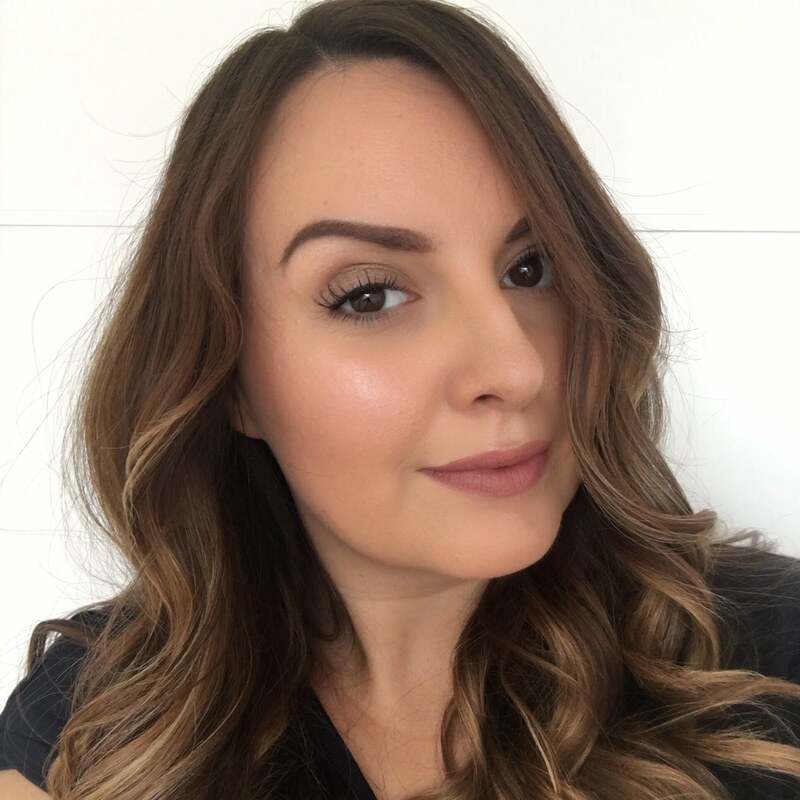 It got to a point where I couldn't tell if it was worth applying concealer or not, as the flakey, cakey dry and crusty look wasn't necessarily any better than just leaving my dark circles on full display! If ever there was a time to put an eye cream or gel to the test, this was it! The packaging says that this is a favourite with cabin crew, and it's said to be perfect for keen internet users and people who wake up early or go to bed late. Yep, that's me! It contains hyaluronic acid, which we know is great for anti-ageing as well as promoting moisture in the skin, damascus rosewater to deflate and soothe the eyes and soy extracts which are a powerful anti-oxidant. It aims to reduce under-eye puffiness and dark circles and well as calming the delicate eye area and reducing fine lines. I've been using this eye gel for two months now and it's massively helped with the dryness in my under eye area. Concealer sits so much better, although I do still need to avoid any more drying formulas. It's super lightweight and very quickly absorbed, but doesn't leave any residue or feel greasy or oily on the skin. I'm really impressed that such a tiny amount of a very light gel can beat the serious dryness under my eyes, but it really has. I have noticed a small improvement in the darkness around my eyes and hopefully that will continue, although I could help it out with some more early nights and by drinking more water I'm sure. I've not noticed any change in my fine lines with this one, but it temporarily improves the look of the skin in this area and works really well against any puffiness. 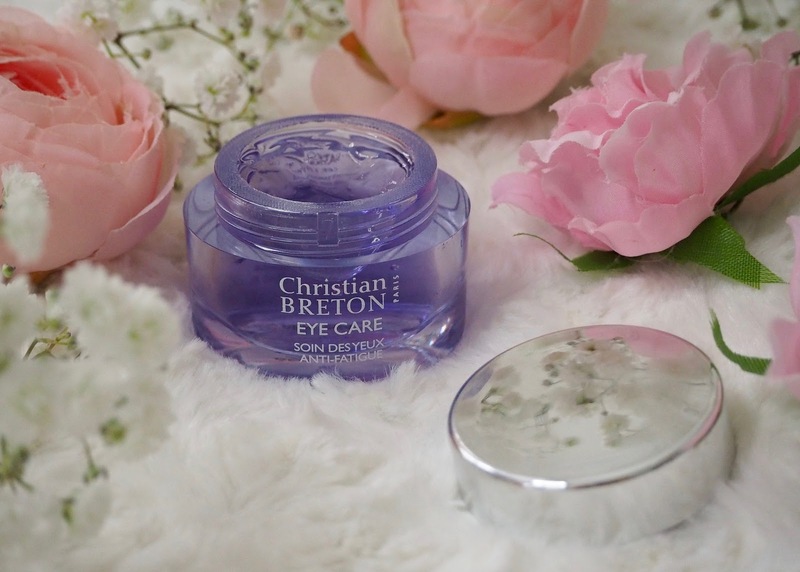 I also wanted to compare this to the Christian Breton SOS eye balm that I've used before. I really liked that when I tried it last year as it's perfect for tackling under eye dryness, although I am preferring the Anti-Fatigue Gel now. The Eye Gel is a little easier to apply, and also doesn't have the one drawback I found with the SOS balm - it would cause my mascara on my bottom lashes to smudge. This eye gel doesn't do that at all, so it's a better formula for me. Are you struggling with winter dry skin too?